Life in Our Phage World! A high-resolution file (323 Mb) and a lower resolution (75 Mb) file are available for download. For optimal viewing, display the pages with the two-page view that includes the cover. Don't let the "temporarily out of stock" message deter you; buyers report the book arrived sooner than Amazon predicted. 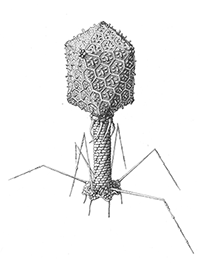 Please share these links freely, for the phages await the second century of phage exploration! *Due to the file size, a virus scan error will appear when downloading from Google. All downloads are virus free. Dr. Rohwer is a Fellow of the American Academy for Advancement of Science (AAAS), American Academy of Microbiology (AAM) and Canadian Institute for Advanced Research (CIFAR). He led the development of "viromics," the isolation and sequencing of RNA/DNA of all the viruses in a sample. From this data, it is possible determine what types of viruses are present ecosystem and what they do there. 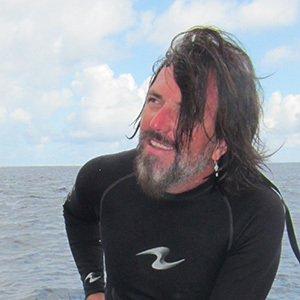 Dr. Rohwer uses viromics to study ecosystems ranging from coral reefs to the human body and has shown that most genomic diversity on the planet is viral. Dr. Rohwer has published more than 150 peer-reviewed articles, was awarded the International Society of Microbial Ecology Young Investigators Award in 2008, and listed as one of the World's Most Influential Scientific Minds (Thomson Reuters 2014). This is his second book with Merry Youle. Dr. Youle is a freelance microbiology editor and writer, and a committed phageophile. 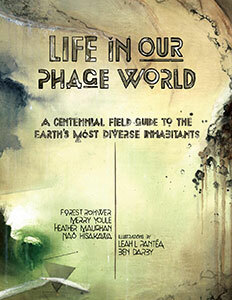 Her previous writing for her beloved phages included more than 35 posts contributed to the ASM-sponsored blog, Small Things Considered. 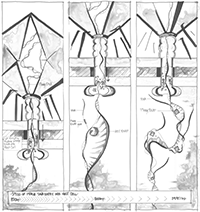 Next to bubble up from her lava tube home in Hawai'i will be a book to introduce a broad readership to the creativity of the phage multitude that supports all life on Earth. Dr. Maughan is a freelance writer and bacteriologist, and an independent scholar at The Ronin Institute. She spies on Bacteria as they evolve to make sense of their genomes and metagenomes. 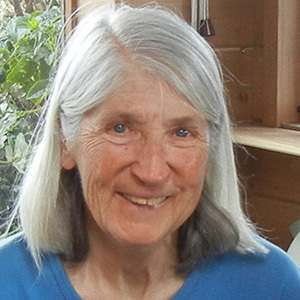 When not at her desk working for the microbes, she treks across the winter landscape on snowshoes or attends to the crops and critters on her small Ontario farm. 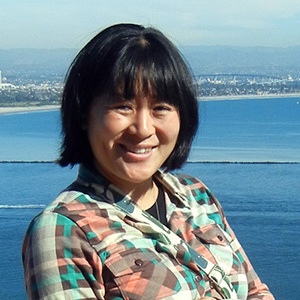 Nao is a geographer who extracts and visualizes interesting information of the world we live in. 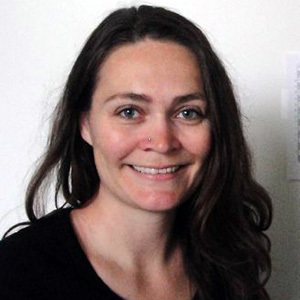 She creates GIS maps and analyzes aerial imagery from near and far. Nao loves traveling, reading, and paper crafts. Leah Pantéa (llpfineart.com) was born in Littleton, Colorado and was raised into a family of technical minds. Despite these initial influences, Leah gravitated towards the arts. She went on to earn her B.A. in Fine Arts from Central Washington University, where she studied under the accomplished painter Maya Chachava. Although initially drawn to figurative art, Leah evolved to find her passion in expressive abstract paintings. Leah continues to explore ways that color and form can express time and emotion where she currently lives and works in sunny San Diego, California. We were drawn to Leah's stark lines, evocative use of color, and obvious grasp of scientific concepts which often plays out in the geometries of her pieces. In her phage art, Leah represents these viruses in a way that lets the viewer see them as the beautiful and organic organisms they are. Ben Darby (www.darbyarts.com) is a Southern California native who left the sunshine to study art in Seattle, Washington. He earned his B.F.A. in art at Cornish Colleges of the arts. Ben is a prolific painter, producing satirical works that are whimsical with intricately detailed and textured surfaces. He has lived in the Pacific Northwest and Hawaii. He now currently lives in San Diego, California. In Ben's work, we see the weirdly beautiful way phages are structured and exist in their environments. His detailed hand has brought to life the symmetry and form of these viruses.